Denis O’Hare is an accomplished actor. Aside from his stints on American Horror Story, playing the parts of Larry Harvey on Murder House and Spalding on Coven, he has been part of stage plays, TV shows, and feature films. O’Hare is an award winning theater actor. He won a Tony award for best performance by a Featured Actor for his performance in Take Me Out, a play by Richard Greenberg. He has been part of a lot of stage plays like Sweet Charity, Assassins, and Cabaret. The talented actor has also been a guest star on various TV shows like Law & Order, and its spin-offs Law & Order: Special Victims Unit, and Law & Order: Criminal Intent. In 2008 he appeared on several episodes of Brothers & Sisters. He was also part of other TV shows like True Blood, Bored to Death, The Eagle, and The Good Wife. His movie credentials include Milk, The Anniversary Party, 21 Grams, Garden State, Derailed, Michael Clayton, A Mighty Heart, Half Nelson, Edge of Darkness, Charlie Wilson’s War, Dallas Buyer’s Club, and Changeling. 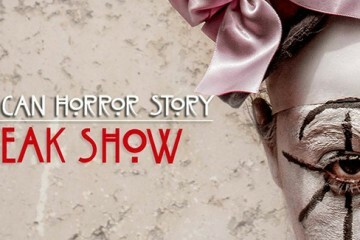 Is Denis O’Hare going to be a part of American Horror Story: Freak Show? Are there any cool extras on the DVD that you’re involved with? Denis O’Hare was born in Kansas City, Missouri, and grew up in the suburbs of Detroit, living in Southfield until he was 15, when his family moved to Wing Lake in Bloomfield Hills. His mother is a musician and he grew up playing the church organ. As a teenager, O’Hare was in his school’s choir and in 1974 he went to his first audition, gaining a chorus part in a community theatre production of Show Boat. In 1980, O’Hare left Detroit for Chicago to study theatre at Northwestern University. He is of Irish descent and holds an Irish passport. 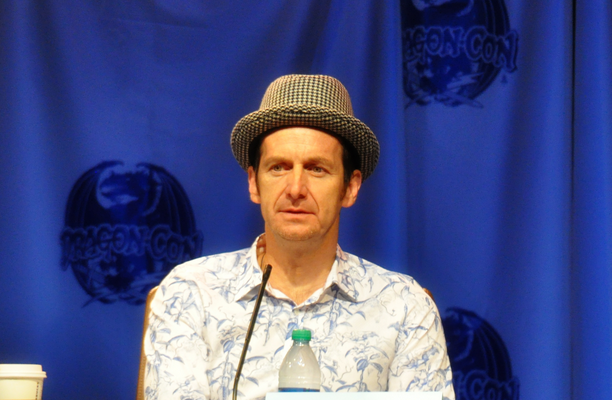 Denis O’Hare came out as gay while being a student at Brother Rice High School in Michigan. He has been married to Hugo Redwood since July 28, 2011. They have one child.